Everywhere I went, I hoped to meet people who had known Bolaño, and everywhere I went I met people who only knew of him in a vague way as something foreigners liked. 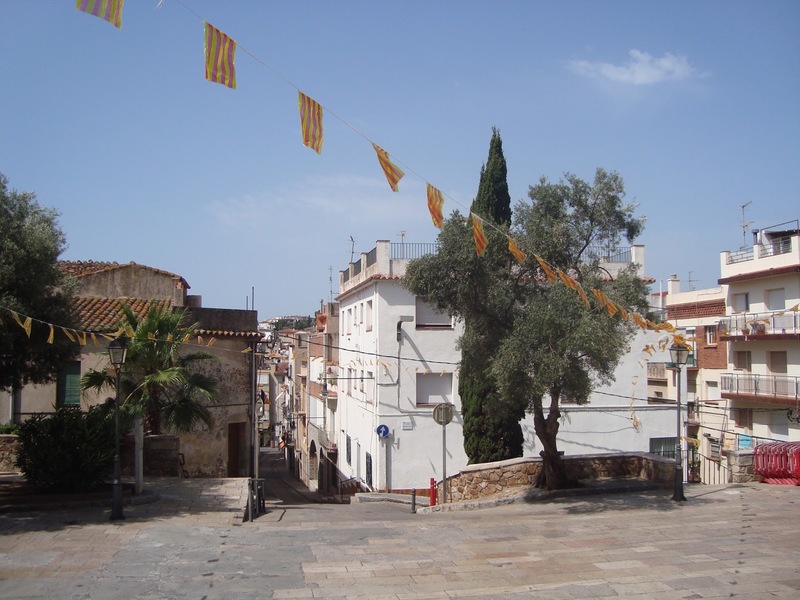 I believe the Catalan flags displayed in every neighborhood, rich or poor, and all across the church plaza, provided a clue. Bolaño, of course, wrote in Spanish. The Third Reich, which, like other of his stories is set in a fictional Blanes-like town. Nevertheless, for the most part, his stories are depicted as taking place in Spanish, Spain, but Blanes is not Spain, not in a social and cultural sense. In The Third Reich, Bolaño describes one marginal character as being Catalan as if that were a distinguishing feature in the region. 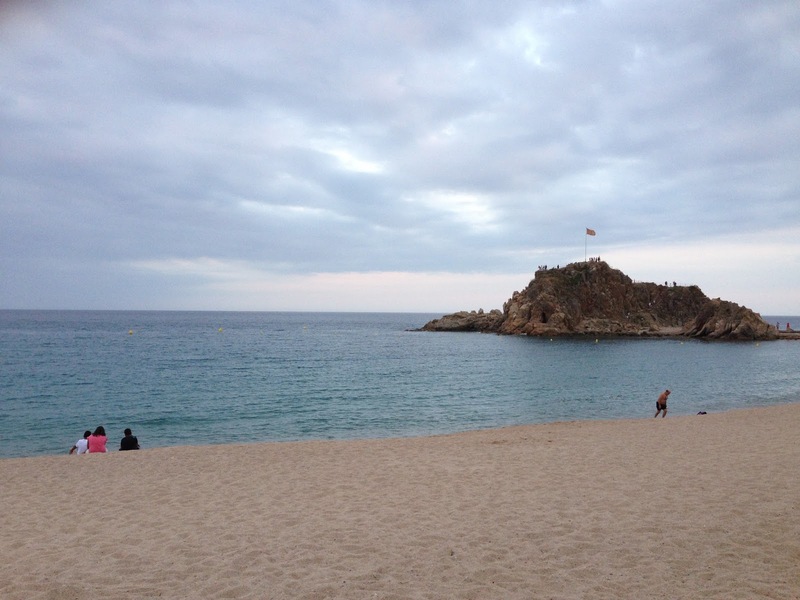 But in Blanes, it’s no such thing. At a local bookstore (Point 06 along the Ruta) the woman who once ordered the author’s reading material (I know because the plaque outside the store said it was so) hunted under a stack of Catalan language books on a variety of subjects, so I could look upon the cover of one of my favorite Bolaño texts in his native Spanish, in his own hometown. Like the others, she too kindly indulged me in my quest, gently shaking my hand with what I felt was prescience––in future years more like me would arrive. A few days earlier, I had attended an event at the local Catalan worker’s club, a space for political agitation, cheap beer, and occasional dances. I sought out swing-night in hopes of also hearing some Latin American tango, salsa, cumbia or bachata. But only North American big-band music was played. In Catalan, people suffered under the Castilians in ways not dissimilar from Latin Americans. Yet no one here seemed much interested in the cultural products of the former colonial outposts. While we danced, giant puppets, representing what I think were important Catalan historical figures, stood propped in the corners. The walls were decorated with pro-Catalan secession posters, which I couldn’t always understand, knowing no Catalan, which isn’t really that much like Spanish, and, anyway, my Spanish isn’t even any good. I was invited to come back the next day and join the English language conversation group. Its members were interested in what brought me to their town, which was Bolaño, a man whose work they’d never engaged. 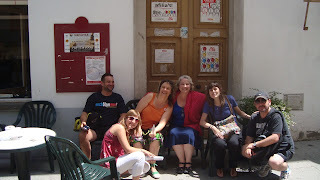 Here is a photo of the English language conversation group, sitting outside the Catalan Workers Center, which is nowhere along the Ruta Bolaño, perhaps, because in Bolaño’s fictional universe, Catalan does not seem to exist anymore than his importance as a Spanish language literary figure exists for Catalans.